Precision Excavating Inc. is licensed by the Board of Health to install pipe and gravel systems in Westchester, NY and Putnam, NY. Why use pipe and gravel fields? 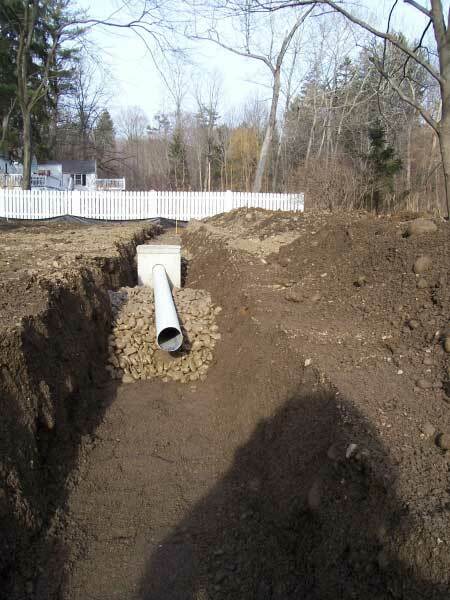 The pipe and gravel septic system is a time-tested and proven system. 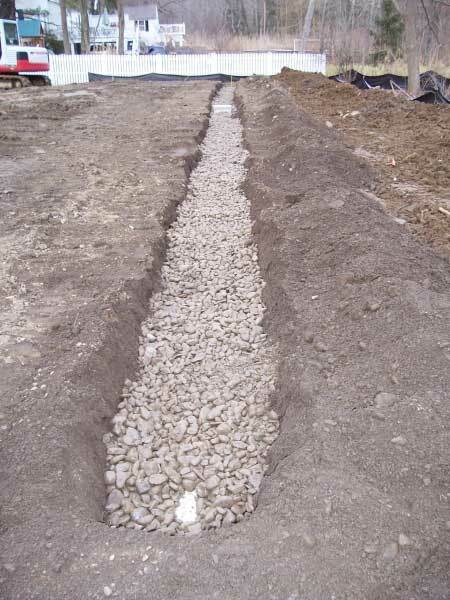 Pipe and gravel fields are gravel trenches with embedded perforated pipe. The pipe distributes the waste water over a specified area allowing for water discharge to evaporate and be effectively absorbed by the surrounding soil. 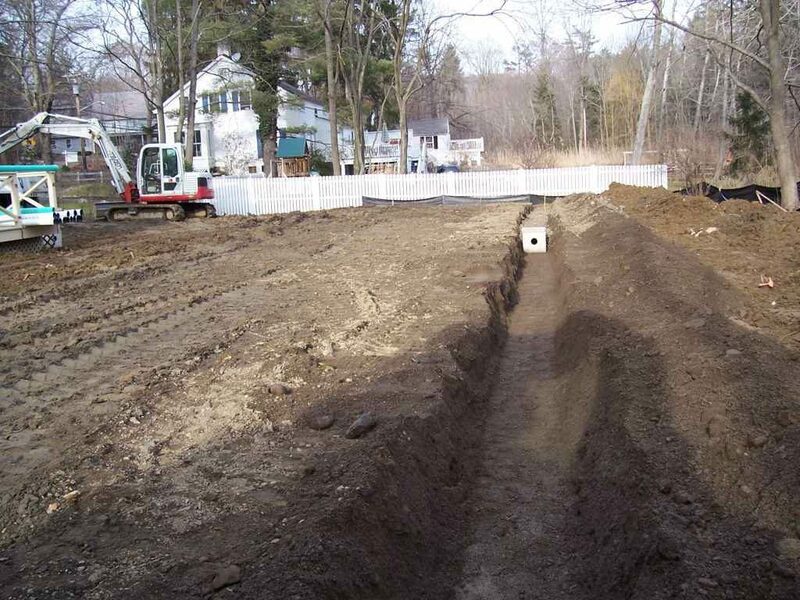 Sometimes systems laid in clay or dense soil also require the assistance of a curtain drain around the septic area to divert groundwater from the septic area so as not to flood the system.